Born in Rome, Italy, on March 5, 1947 Lillie Serafina Rhodes, 71 was born to Robert L. Rhodes and Clara Ann Rhodes (LaFrata). Lillie entered into heaven on January 25, 2019 in Nashville, TN. Lillie is preceded in death by the love of her life her late husband John Thomas Rhodes and her siblings Patricia “Patsy” Rhodes and Marilyn “Cookie” Richter. Lillie is survived by her five children; Patricia Rhodes, John Rhodes, Joseph Rhodes (Phaedra), Paige Rhodes (Keith) and Jason Rhodes. She was blessed by six grandchildren; Brandon, Michael, Lillie, Liana, Jeffery and JJ (John Joseph). In addition, Lillie is survived by her nieces and nephew; Michael Richter (Lora), Becky Scoby (Jason), Ann Thur, Oscar Rhodes (Kimberly), and Towner Rhodes as well as many other extended family members who loved her dearly. Lillie was a resident of Manteca for 54 years. She and her beloved husband John of 37 years, met while attending San Joaquin Delta College. She was a shipping/receiving clerk for Cal-Can/Tri Valley Growers for over 31 years before her retirement. 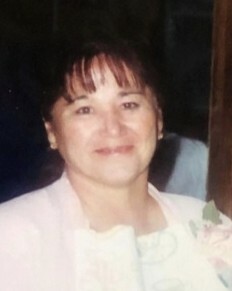 She was a terrific mother and an even more amazing grandmother; while her children were growing up she was involved in the Shasta School PTA, coached soccer, coached baseball, volunteered as a Troop leader with the Boy Scouts troop 430. She was also the Vice President for the Manteca High Athletic Boosters for many years. She was always kind and considerate, as it came naturally to her to care for others. Lillie was the absolute best gift giver; she always took time out to make sure others felt special and just for a simple smile in return. She was an amazing cook and loved hosting family get-togethers. Her Italian heritage helped her to create the most wonderful Italian dishes. She enjoyed the simple things in life; shopping, gardening, camping and traveling. Lillie will be remembered for her gracious heart and her selfless spirit.